Unsurprisingly, the pound (GBP) was unable to maintain Tuesday’s Brexit inspired form, despite some rather positive employment figures. But the ground it lost was minimal compared to the gains. The somewhat muted euro (EUR) and dollar (USD) both failed to find inspiration from Consumer Price Index (CPI) data on both sides of the pond that were in line with forecasts. Today, apart from the ongoing rhetoric on Brexit and from Trump, the key data releases and news will come for the Eurozone. Following on from Tuesday’s leg up for sterling (pound, GBP), Theresa May’s Brexit speech was examined with a fine tooth comb by economists and analysts. In the meantime there was positive news for the UK after it was revealed that unemployment fell to 1.6 million for the three months up to November. This is the lowest number in over a decade, with the unemployment rate remaining steady at 4.8 percent. In addition, average earnings for the same period increased by 2.7 percent. This is particularly important in relation to inflation and how this impacts the economy. Given the news on Brexit, it will be interesting to see if this trends continues. 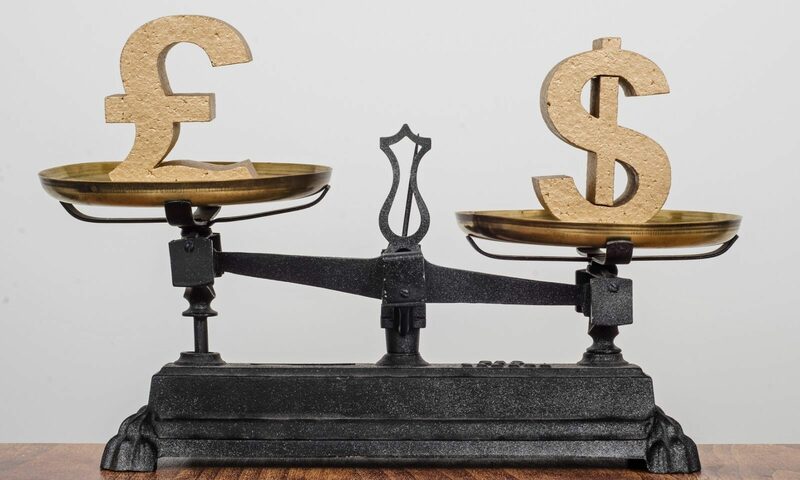 Sterling was slightly weaker on the day as the market digested May’s comments, followed by the inevitable response from its European neighbours. Donald Tusk, the president of the European council, reiterated that the UK should not be allowed to maintain the advantages of single market membership, while rejecting free movement. However, much of the focus was on the comments from foreign secretary Boris Johnson, who stated: “if Mr Hollande wants to administer punishment beatings to anybody who seeks to escape, in the manner of some world war two movie”. This only highlights how strained current relations are between the UK and the European Union, and just how far off we are from any sort of agreement. Johnson’s comments have resulted in various senior figures in politics calling for his head. Data is thin on the ground in the UK today, but further developments on Brexit could result in more price action. Two key economic indicators were released in the Eurozone yesterday. Consumer Price Index (CPI) data – measuring inflation – for the bloc and Germany came in as forecast at 1.1% (year-on-year) and 0.7% (month-on-month) respectively. The lack of surprises within the data was reflected in euro (EUR) markets, which held steady against the dollar (USD) and gained – ever-so-slightly – against the pound (GBP). Today sees a much busier day in the single currency bloc. Data is released in France, Spain, Ireland and Portugal. However, these will be eclipsed by the European Central Bank (ECB), which releases its interest rate and deposit facility rate, as well as hosting a press conference to discuss the European Union (EU) economy. Any hints from the press conference concerning monetary policy, particularly interest rates and asset purchases– which are both expected to remain unchanged – could cause significant movement in euro markets. Yesterday saw a wave of US Consumer Price Index (CPI) data. The general mood of the figures was unremarkable, showing little to no deviation from the expected and modest improvements on the previous release. Core CPI (month on month) came in at 0.2 percent, as expected and the same as last month; year on year CPI came in as expected at 2.2 percent, up from 2.1 percent. These releases helped the dollar (USD) regain losses suffered earlier in the day. A number of Federal Open Market Committee (FOMC) members were speaking including Federal Reserve chair Janet Yellen. The beige book (a report on the economic conditions of the 12 US federal districts) was released as usual, two weeks before the FOMC meets to discuss short-term interest rates. Today sees a plethora of data releases, from building permits – expected at 1,225,000 – to housing starts and jobless claims, which are forecast at 1,200,000 and 254,000 respectively. Crude oil inventories are expected to fall 960,000 barrels. And speaking for the last time as the President-elect, we will hear from Donald Trump.